1. Smithsonian Institution, Washington, D.C. The Smithsonian is the world’s largest research and museum complex, with 19 museums and galleries, the National Zoological Park, and various research stations. More than 137 million objects detailing America’s story are housed here, so you’d better prepare for a long week of walking. The Louvre was a medieval fortress and the palace of the kings of France before becoming a museum two centuries ago. The addition of I. M. Pei’s pyramid shocked many when it was unveiled in 1989 as the new main entrance, yet it somehow works, integrating the palace’s disparate elements. The stunning ground floor gallery houses finds from the slopes of the Acropolis. Its amazing transparent glass floor provides a walk over history, with a view of the archaeological excavation, while sloping upward to the Acropolis with sanctuaries of the Athenians from each historic period nearby. Russia may be isolated from the artistic centers of Paris, Rome, and London, but the Hermitage has managed to acquire a spectacular collection of world art—more than three million items—spanning the years from the Stone Age to the early 20th century. Britain’s largest museum looks after the national collection of archaeology and ethnography—more than eight million objects ranging from prehistoric bones to chunks of Athens’ Parthenon, from whole Assyrian palace rooms to exquisite gold jewels. The Spanish royal family is responsible for the Prado’s bounty of classical masterpieces. Over centuries, kings and queens collected and commissioned art with passion and good taste. In addition to stars of Spanish painting such as Velázquez, Goya, Ribera, and Zurbarán, the Prado has big collections of Italian (including Titian and Raphael) and Flemish artists. 7. The Metropolitan Museum of Art, New York City, New York. The Metropolitan Museum of Art is the largest museum in the Western Hemisphere. Its collection of more than two million items is not only broad—covering the entire world, from antiquity to the present—but deep, with holdings so large in a number of areas that some might be considered museums unto themselves. Twenty-two separate collections comprise the Musei Vaticani, each one more spectacular than the next. The most famous are probably the Museo Pio-Clementino, with its splendid classical sculpture; the Raphael Rooms, entire rooms painted by Raphael; the Pinacoteca (picture gallery), which contains the cream of the Vatican’s collection of medieval and Renaissance paintings; and, of course, Michelangelo’s Sistine Chapel. “Great” is an overworked adjective in Italy, where so many of the country’s monuments and works of art command the highest praise. In the case of the Galleria degli Uffizi, it barely does justice to a gallery that holds the world’s finest collection of Renaissance paintings. About 900,000 objects fill the Rijksmuseum, the largest collection of art and history in the Netherlands. It is most famous for its paintings by 17th-century Dutch masters, including Ruysdael, Frans Hals, Johannes Vermeer, and Rembrandt van Rijn. In the 1920s, started the promotion of the Mexican muralism with and political and social messages in regards to the post Mexican Revolution government. It was headed by the big three painters, Diego Rivera, José Clemente Orozco and David Alfaro Siqueiros. 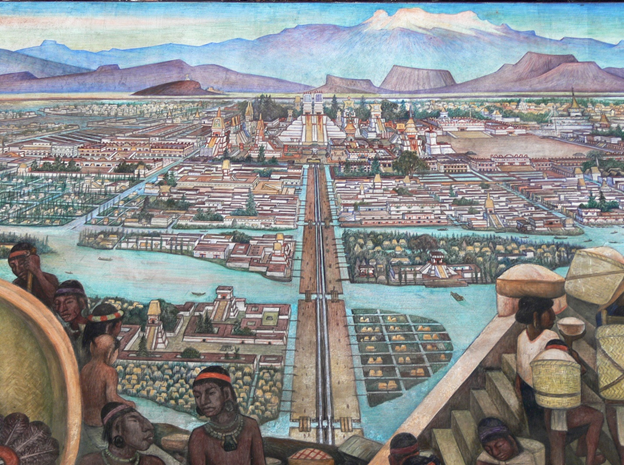 From the 1920s to about 1970s several murals with political, social and nationalistic messages were created on public buildings, starting a tradition which continues to this day in Mexico, generating a high impact in the whole American Continent. 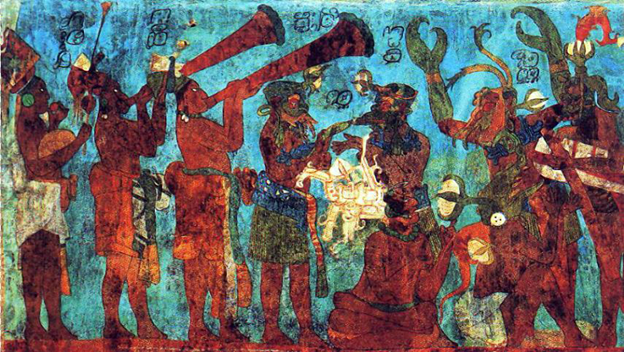 Mexico has a tradition of painting murals, starting with the Olmec civilization in the pre Hispanic period and into the colonial period, with murals mostly painted to evangelized and reinforce Christian doctrine. The first Mexican mural painter to use philosophical themes in his work, was Juan Cordero in the mid 19th century. Also he did mostly work with religious themes. Gerardo Murillo as well known as Dr. Atl is considered to be the modern Mexican muralist with the idea that Mexican art should reflect Mexican life. The first modern Mexican mural, painted by Atl, was a series of female nudes using Atlcolor a substance Atl invented himself, very shortly before the beginning of the Mexican Revolution.